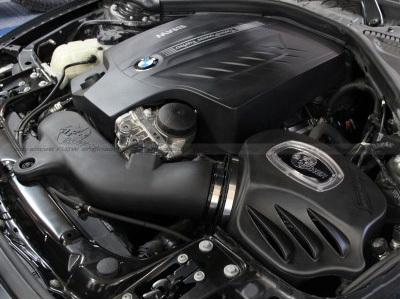 Upgrade your BMW F30 335i/F32 435i's restrictive stock intake to the new Momentum Sealed aFe Power Stage 2 Intake for improved air flow and a deeper, aggressive engine note. This SEALED AIRBOX type intake system is what you can call a TRUE "COLD AIR INTAKE". This system has been specifically engineered to avoid ingesting hot air underhood and offers superior flow to the stock intake system for consistent power with significant power gains. 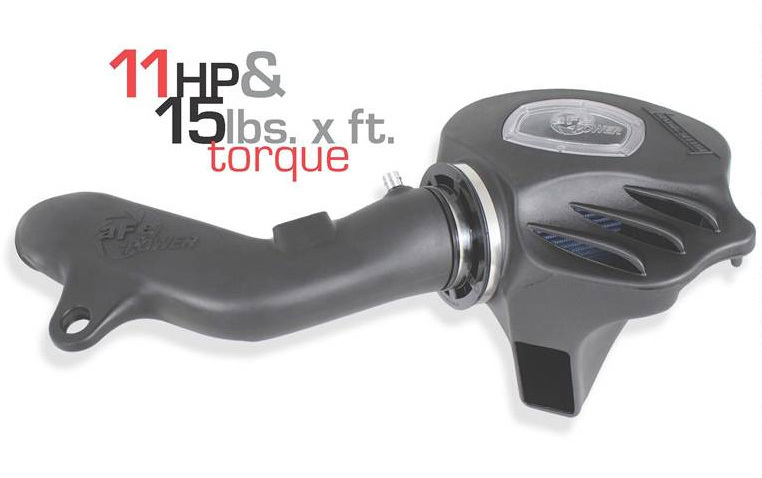 ModBargains is proud to introduce the aFe Power Momentum Stage 2 Intake, the all new Intake System for BMW 335i (F30) ! 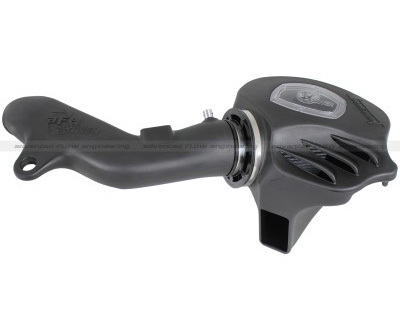 aFe Power spent countless hours on R&D to perfect the development of this superior intake system exclusively for your BMW 335i (F30) with the L6-3.0L (Turbo) N55 engine. 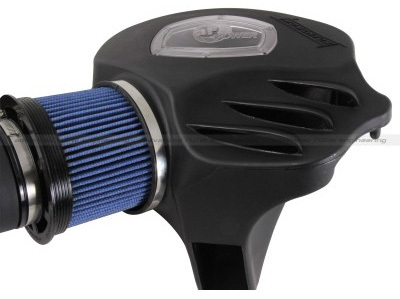 This intake system includes a PRO 5R (oiled) or Pro Dry S (Dry) filter for maximum airflow and increased performance. 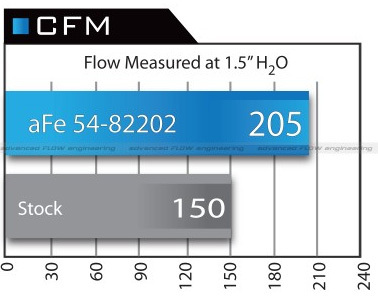 It out-flows the factory intake by 37%. This off course results in performance gains; the all new Momentum Sealed Intake System for the 335i produced 11hp and 15lbs. x ft. torque in recent testing. Installation is very easy and straight forward. The intake system comes will all necessary hardware needed to complete the job. 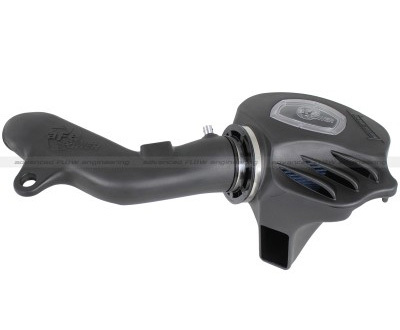 Upgrade your restrictive stock intake today and take advantage of the various benefits this new aFe Power Intake introduces to your BMW 335i (F30)! One-Piece Filter Housing: The air filter is housed in a one-piece, patent pending black roto-molded airbox that keeps warm engine air out for maximum performance. This one-piece airbox has a built in clear sight window which allows you to inspect the filter with no disassembly. Dyno Tested Intake Tube: this system uses a C.A.D. designed intake tube which is dyno tuned to achieve maximum power gains while maintaining a perfect fit. Housing/Air Filter Interface: This intake system features a unique patent pending filter to air box interface that creates a flawless seal. Professional installation is recommended. Get this aFe Power Momentum Stage 2 Intake System installed by our experts at ModBargains. Our techs have many years of experience in the aftermarket industry and are highly trained to perfect each install.